This eBook provides clear and concise guidance on how to properly collect and organize evidence for your child custody case and covers the most common concerns of Family Court Judges. Parents in a custody battle need to know how to gather relevant evidence that will effectively support their case, what evidence could be used against them and how to properly organize it for their attorney and court proceedings. and help you secure a place in your child’s life. Evidence Strategies for Child Custody is the first available book in a series of step-by-step guide books in the Fathering Families series. This first guide covers essential insight and evidence strategies for anyone who needs to prepare for a custody dispute. This is a critical step towards building your case and developing an effective approach with your attorney. The following list is an overview of the sections and topics discussed in the Evidence Strategies for Child Custody guide book, available for purchase. This first available guide in the series focuses on evidence collection and organization. This is often the first obstacle when facing an impending custody dispute or developing a strategy for your case. 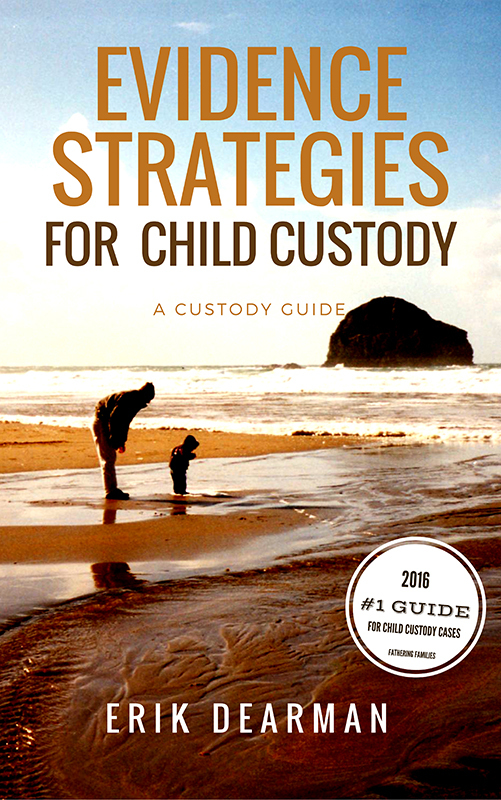 This guide helps fathers take the rights steps to strengthening and positioning their case for custody. Hearsay, the hearsay rule, exceptions to the rule and privileged evidence – This is a very important concept to understand when considering witnesses and available evidence. Most child custody guides focus very little on evidence collection. Supporting your case with sufficient and compelling evidence can have significant influence on the outcome of your custody ruling. The key to building a strong case is to start gathering your supportive evidence now or as soon as you sense an impending dispute. The Evidence Strategies for Child Custody ebook is available for a promotional price of $9.99 for a limited time. If you have concerns of an impending custody dispute or have just began the legal process, this book can help save you time and money, while easing your frustrations and anxieties during this daunting time. If you enter into a custody dispute without this essential guidance, but the other parent is actively implementing these strategies, you run the risk of paying for unnecessary fees, falling victim to false accusations, prolonging settlement and presenting a weak or ineffective case.